Home Sweet Life: 2018 DaySpring Agenda Planner ...and why I chose it! 2018 DaySpring Agenda Planner ...and why I chose it! 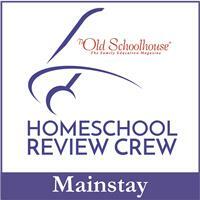 Just so you know, today's post is a little different. 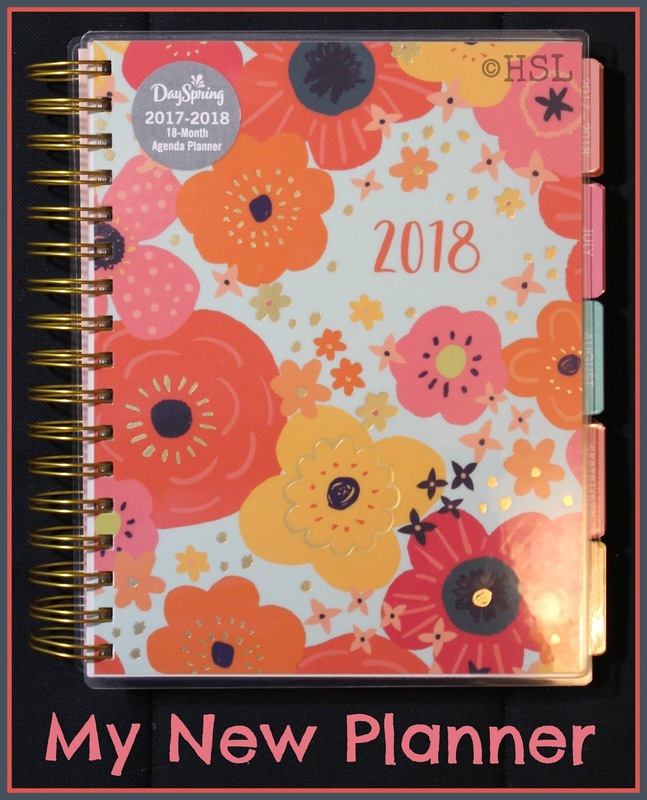 I'm going to tell you about my new planner from DaySpring, but it is not a regular review because this one I bought with my own money, at a regular store. 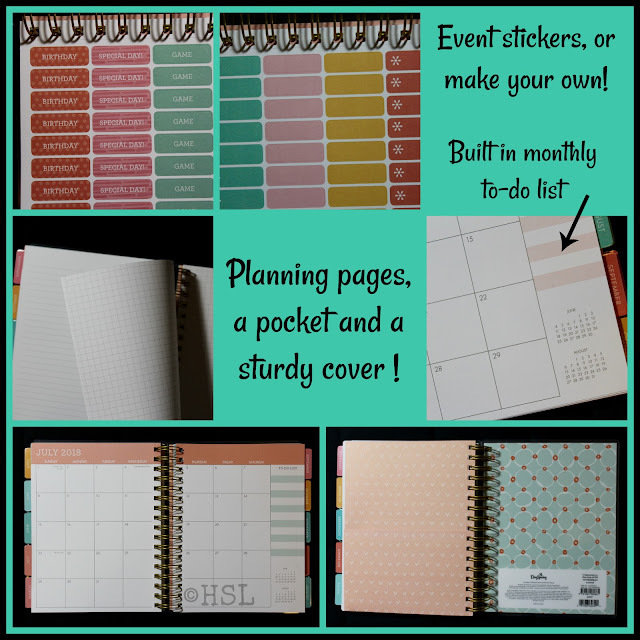 I like it so much I felt I needed to tell you about it in case you too are on the search for a better-for-you planner! So here is how it all started ... back in early June, Kate over at Five Minute Friday shared about using an editorial calendar for blogging as a way to plan ahead. 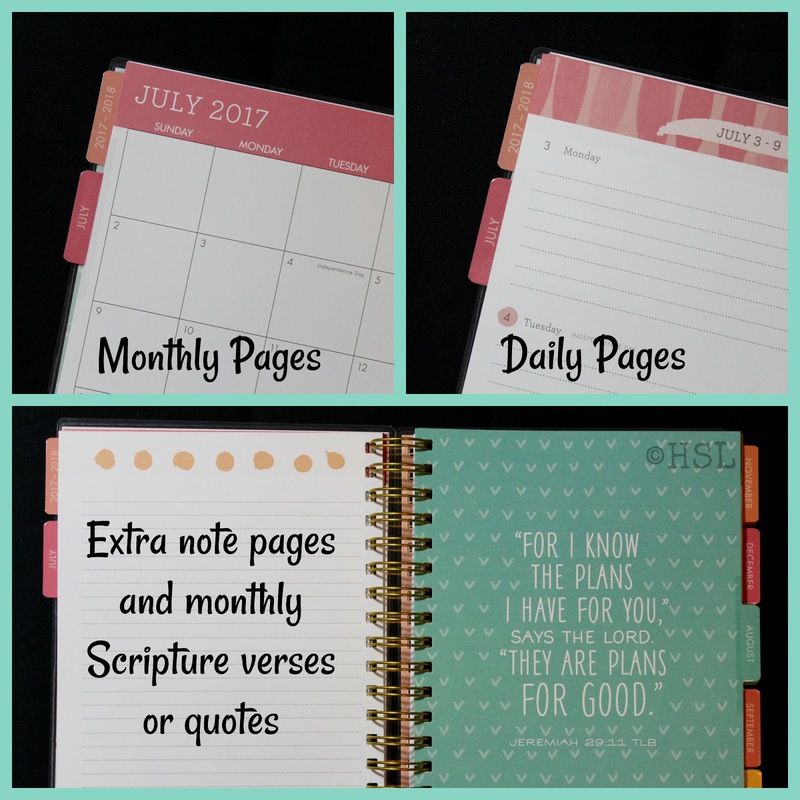 In that post she shared about the new 18 month 2018 Agenda Planners from DaySpring. She included some pictures, and told what she liked about them - it was short review, but well said. I had purchased a different planner for 2017 late last year and frankly, I had been disappointed with it. I had used the same company's planner successfully in 2016, but the changes to the layout they had made for this year were not working well for me and it mostly just sat on my desk - unused. I was curious about the new DaySpring planners. Kate's post had shown the pretty colors and said good things about them. One of the joys of the online world is being able to leave a message for other writers... so I sent Kate a request. I asked her a couple questions about her new planner and she graciously emailed me a few pictures she had taken that addressed them. Now I knew I needed to get myself one. Thankfully, I had a little extra cash available thanks to some affiliate sales and I was determined to make up my mind and decide which design I wanted. Choices -ugh! 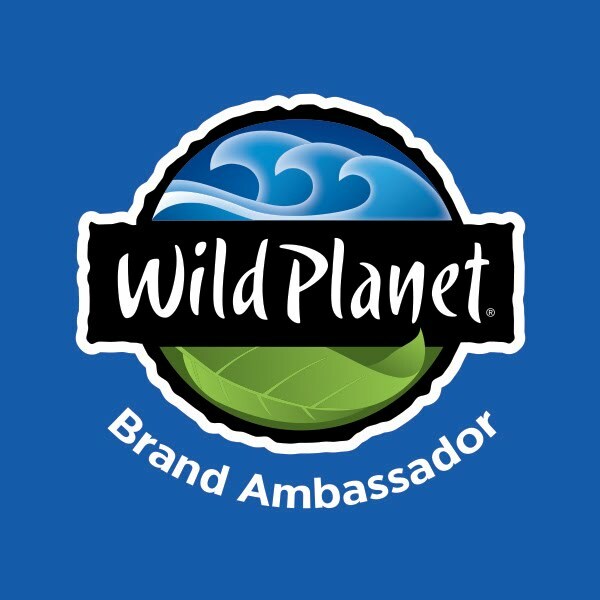 As a working and homeschooling mom who was in the throes of 4-H season, I did not want to make any more choices, but I knew I needed to. So I looked at the choices online, again, and again, and again. Finally I knew I would have an easier time if I could see them in person. The thing is, DaySpring is located in Arkansas, and I am living in Indiana. Then it hit me, call the customer service line! The helpful lady who answered my call said that they would be carried in some retail stores, but she was not sure which ones yet. She asked me if we had a LifeWay store nearby, and I said yes. 40 minutes is nearby right?! She suggested I check there as they are a big supplier of DaySpring cards. 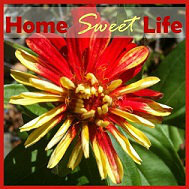 Hey, just because I bought it with my own money does not preclude me from getting a good deal-LOL! So a couple days later (like June 29th or 30th) Arlene and I were going to Trader Joe's, which happens to be across the street from LifeWay, and we stopped in to look for the planners. They had two of the five designs in store, including one of my two top choices. Thank you God for making the decision for me! We came home, I snapped a few photos of the unused planner, and then promptly started using it! It can be quite difficult to find a practically useful planner that is still pretty. Trust me on this, I've looked at and rejected dozens of other designs that just did not have enough space for what I need, or were downright ugly. This Agenda Planner is hefty, especially since it is for 18 months, but it is laid out so well that I've not really noticed the weight when I toss it in my bag and head out to the library or an event. The monthly two-page spread has a laminated tab to make finding it quick and easy. It also has a built-in to-do list for the month. The daily pages are between the monthly pages so you can easily flip to the week you need to write down more details. The daily spaces on the monthly view are large enough to actually write in, and the weekly pages give a large amount of space per day to write out the specific details. At the end of each month is one extra note page. These are great for brainstorming ideas for the month, or keeping longer lists ... like books you've read. Not only does this planner come with stickers, it has one page of blank ones so you can make your own! In the back behind December of 2018, there are 4 extra lined pages, 2 graph pages, and two plain pages for your notes. Then come the stickers and a nifty pocket! DaySpring sells extra pockets if you want to add in more. They also have some cute sticky-notes and clips that coordinate with the planners, but I think one pocket will be enough for me. Overall, I have used this planner more than any of the other similar planners I have had in recent years. I still really like it, and its size of 7"x9" makes it easy to grab and take with me. I have a large, full-page 3 ring binder planner that I use while at home for blogging and another basic one for homeschooling. Those things take up too much space to want to take with me. This planner from DaySpring is my brain on paper - just the way I like it. The ability to look at the big picture, and pull the pieces of those other plans together to keep organized on a daily basis is exactly what I need.